If you are reading this and you have just been accepted to the University of Rochester, major CONGRATULATIONS! I genuinely wish everyone the best of luck as they accept their different decisions, but of course, I am definitely going to nudge you into going to Rochester. Although I could tell you everything great about Rochester, the school’s website does a pretty good job at highlighting special opportunities found here. Instead, I am going to write about things you should do after obtaining your admit letter. Do not fall into the trap of senioritis. The first thing you should do is celebrate! A large part of your life has been dedicated to making the opportunity to attend college a reality, and now that it is here, you should celebrate and relax a little. However, do not fall into the trap of senioritis. School is still in session, and it is definitely important to continue working hard to end your high school career strong. I highly recommend putting more focus on preparing for AP and IB exams as these exams can count for college credit. For example, a 4 or a 5 on the AP Biology exam can allow you to take BIO 112 instead of BIO 110, and likewise, a 4 or a 5 on AP Physics C can allow you to not take physics altogether (depending on whether that’s required for your major). A variety of other courses also can be redeemed with AP credit or IB credit. This either allows you take more advanced courses or even to not have to take some courses altogether. Plus, colleges want to see your final high school transcript to make sure you stayed on track. You’ve been admitted—don’t mess things up now! One aspect of transitioning to college is the fact that college has many more opportunities and a lot more options than high school. That comes at the cost of a linear process. In high school, you would typically take the next level math or the next level English class. But college does not exactly have that. Of course, there is still some linearity in the sense that you will have to complete your prerequisites for your major, but you will experience a high level of freedom and flexibility. There are over 75 majors not including the ones students have created on their own. There are different ways to mix and match minors and clusters, and much more. You will definitely have a lot of support with choosing your courses, but it is up to you to choose your major(s) and clusters. Therefore, you might want to consider exploring your interests sooner rather than later in order to make your choices a little easier. What I recommend most is that you visit Rochester however you can. There are a ton of opportunities to visit, including the 2022 Experience. Not only that, but I even more highly recommend trying to directly visit an academic department. This is a great way to learn more about the academic interests you’ve honed in on. If you can’t visit campus physically, don’t worry. I didn’t either. But that by no means meant I was not able to connect to the school. With their website, it was easy to find and learn about all of what Rochester’s Office of Admissions has to offer, like YouVisit, a virtual tour that is actually a pretty amazing use of technology. It is possible to go on a campus tour while hundreds of miles away, so connecting to Rochester is not impossible. If you have already set your heart on attending Rochester, there is also a great program called Summer Start, which allows you to immerse yourself into campus life a month earlier. You can meet some of your peers earlier, take up to seven credits, and explore the University during the summertime. Also, keep in mind that blog posts are also a fun way to connect to Rochester (shameless plug). 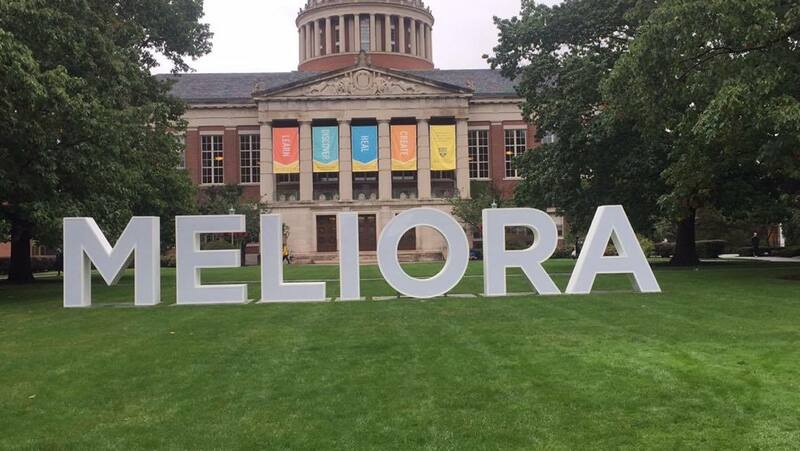 All in all, I once again congratulate everyone on their successful achievements, and I hope that everyone heavily considers attending the University of Rochester in the fall. If you are in any way stuck on your decision or you just want to connect, please feel free to contact the University of Rochester and especially try reaching out to current students. There are many great people here who would love to reach out and provide more information.